The Hobo Avatar Who Reminded to Me, How I Discover My Creativity. This make me to remember that SL or Opensim based grids just give the freedom to make your own look with freebies or paid stuff. I have learned many things in the metaverse (thanks to all the people who help me, I will never forget it) to discover my creativity and to fly my imagination to do new and diferent things (like improve my outfits). 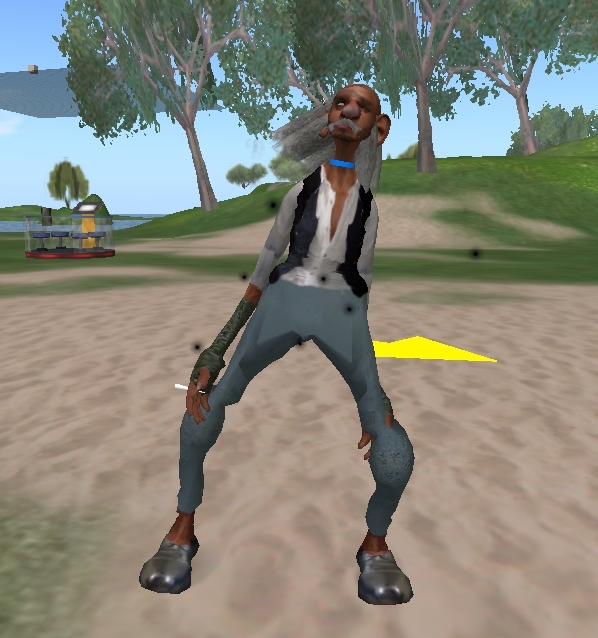 As I spoke a little bit with this resident, I told him that this was a really very original, unique hobo avatar that I have never seen a something like that, but he told me that this wasn’t his creation, it was a creation of his friend. I encourage to all of you who are building on the grids, to do your best, to keep working and never give up! because one of this days you will make a great work!. This entry was posted in Start and tagged avatar, creativity, freebies, hobo, imagination on January 27, 2012 by Xpontaneus.